Does anxiety or fear keep you from going to your dental appointments? You are certainly not alone. As many as 15% of Americans avoid the dentist due to dental anxiety. Whether you get sweaty palms in the waiting room or experience paralyzing fear at the thought of sitting in a dental chair, we can help you at Montevallo Family Dentistry. Not only do we offer a warm and inviting office environment, but we also offer sedation dentistry to help you relax during your treatments. 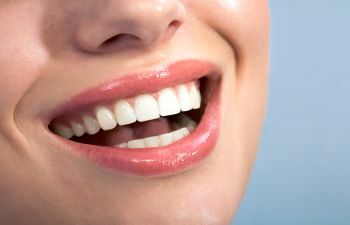 Sedation dentistry is a safe, gentle and proven solution to help anxious patients get the dental care services they need. Dr. Shunnarah is qualified to provide nitrous oxide sedation to both children and adults in Montevallo. Nitrous oxide sedation (also known as “laughing gas”) is a colorless, sweet-smelling gas that is gently inhaled through a nosepiece. This form of sedation is one of the safest and most preferred methods available. It allows patients to be in a relaxed and calm state, yet still retain the ability to communicate with others during treatment if they wish. Your level of sedation can be adjusted at any time using Nitrous Oxide. One of the highlighted benefits of nitrous oxide is how quickly the effects diminish when the mask is removed. This allows patients to drive themselves home if they wish without any lingering side effects. To learn more about how nitrous oxide works and whether it can help you keep your dental appointments, please call our office. At Montevallo Family Dentistry, patient comfort is the hallmark of our practice. You’ll find that our team is compassionate and friendly and we offer numerous amenities that help you feel at home. If you need sedation dentistry to get through your routine cleaning or to sit through a lengthy restorative procedure, please don’t hesitate to ask. We promise we won’t take it personally! Contact us today to schedule your appointment.